Congratulations to our breakfast club winners! 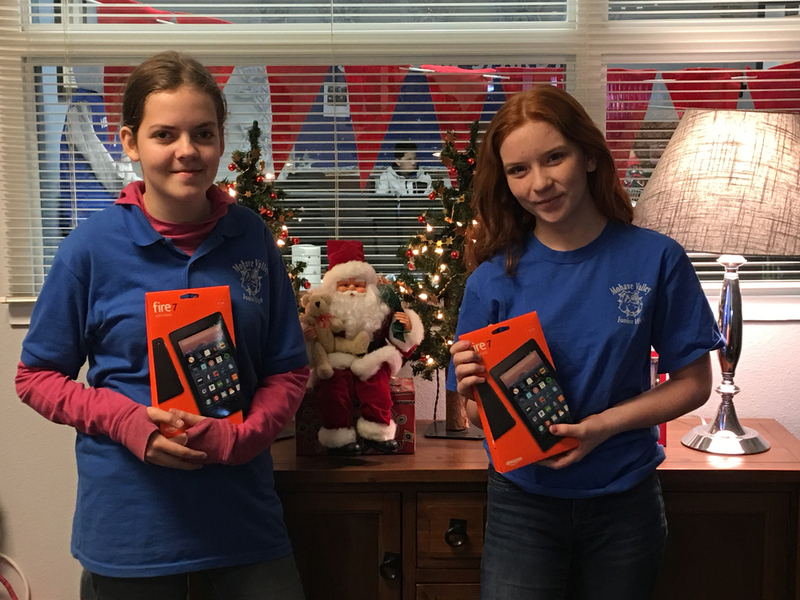 Each morning, students who ate breakfast in our cafeteria, were given a raffle ticket in hopes that they may be the lucky recipient of a Kindle Fire. Congratulations to Hannah and Cheyenne! We hope your new Kinles bring you countless hours of reading.